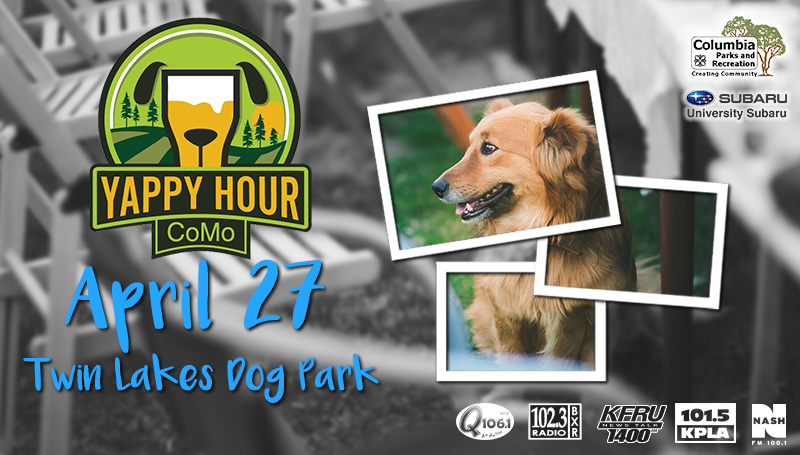 Food trucks, craft beer, and room for Fido to roam – all at this year’s Yappy Hour on April 27th from 3-6p at Twin Lakes Recreation Area. This event will feature dog related booths, activities, contests, an adoptable dog pageant, and more. This event is coordinated with the help of MU Department of Parks, Recreation and Sport students, Q 106.1, BXR, KPLA, KFRU, NASH FM 100.1, and Columbia Parks & Recreation. This event is sponsored by University Subaru.